I’ve never been big on Cranberry sauce. It was always at the extended families Thanksgiving table, but never appealing to me. A big blob of reddish purple slime? Jello? Sometimes it was in a mold, and looked like plastic. I guess it’s no wonder why I didn’t find it attractive. 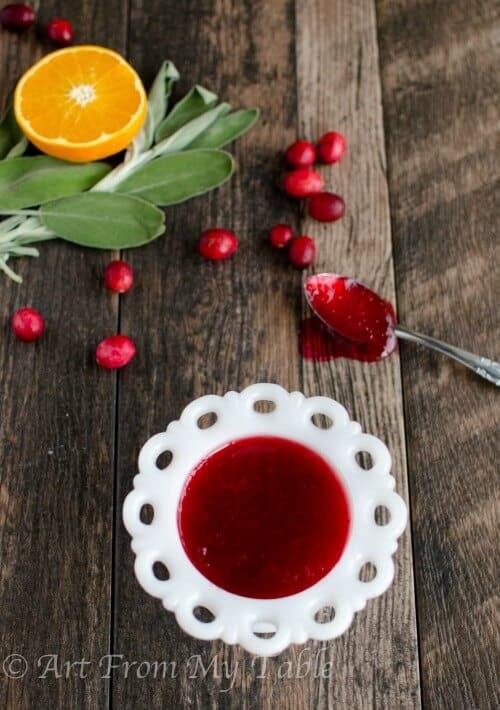 I really do love cranberries, so why wouldn’t I like cranberry sauce? I was making a recipe that actually called for cranberry sauce, and I thought, I like cranberries, but that canned stuff just doesn’t taste that good. Disclaimer: I am so sorry if you like the canned stuff, I am not trying to offend you. My palate just craves real, from scratch food. If you do like the canned cranberry sauce, you should for sure give this a try, I think you might even like it better! Back to my point, I was making a recipe that called for cranberry sauce, so I thought, why not make my own. I quickly googled, cuz that’s what we do, and I found this recipe from pickyourown.org. It’s a winner. 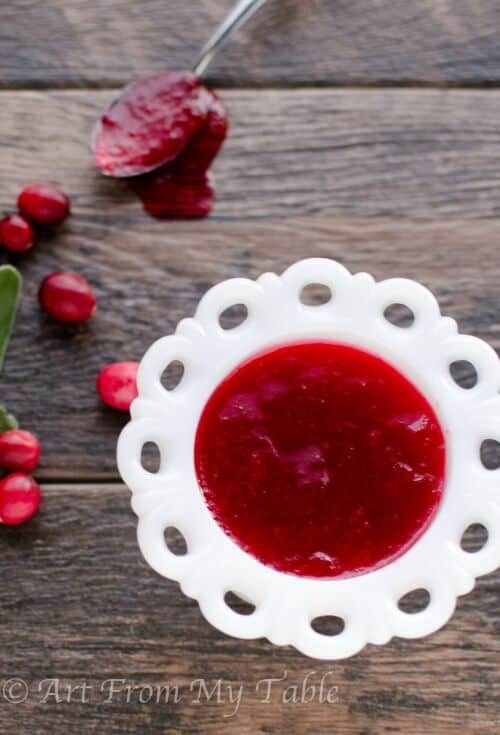 Making your own cranberry sauce is really quite easy! 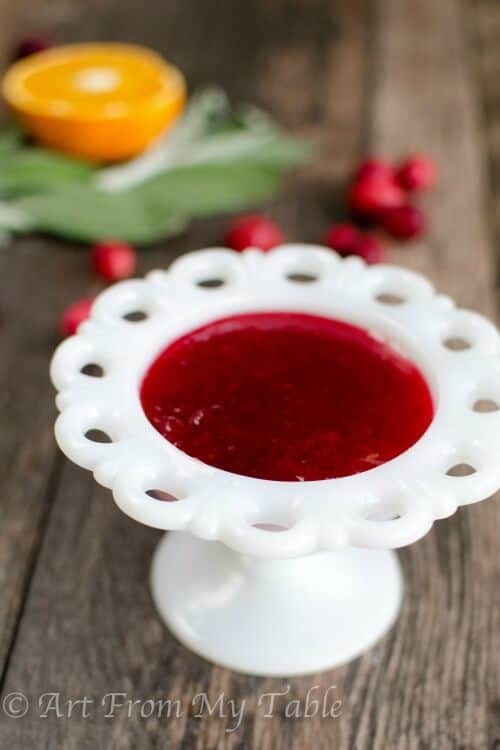 Cranberry Sauce, made from scratch, compliments Thanksgiving dinner, sandwiches, and much more. 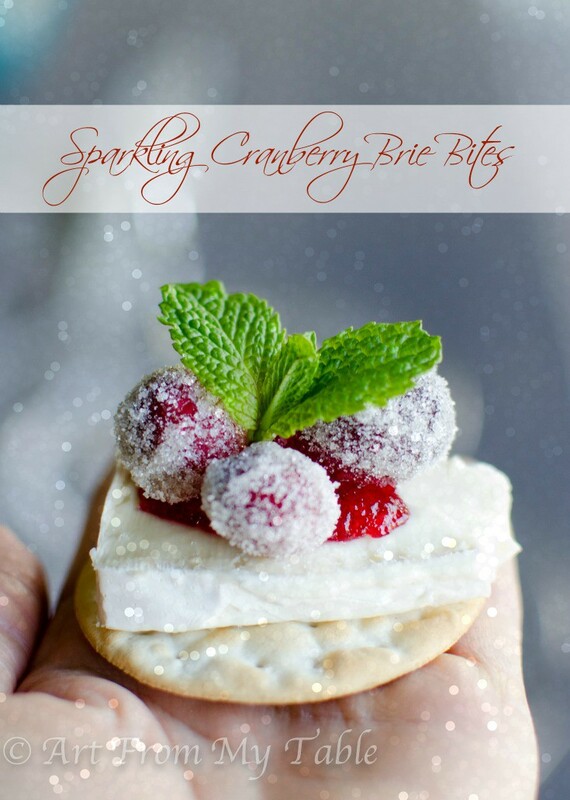 This recipe is so easy you'll never buy canned again! Wash cranberries and discard any that are not ripe. Bring the juice to a boil, add cranberries and let them cook 5-10 minutes, stirring occasionally. Return the strained berries to the pan and heat until boiling. Add sugar and boil for 1 minute. Place into a container or mold in the refrigerator. Sauce will set up in a few hours. 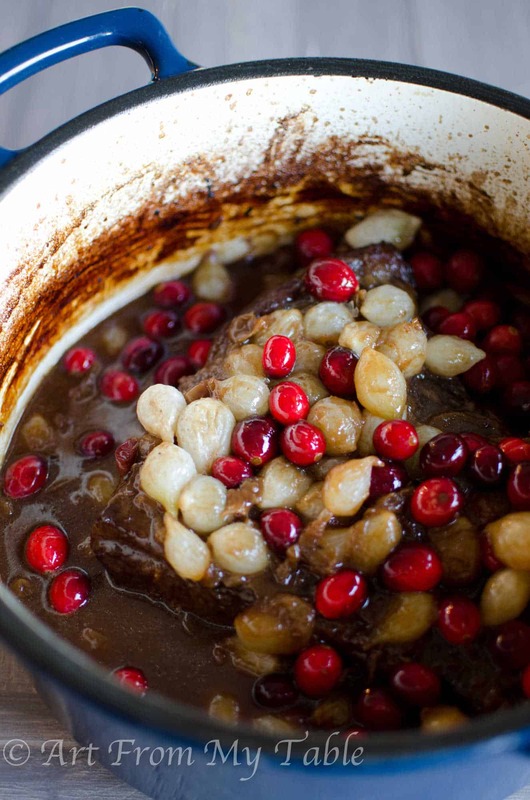 Looking for more Cranberry inspiration? Awesome Sauce! You’ll never go back, give it try! I love hoe easy this is, and how delicious it sounds! This sounds really good, really good. I have never cooked cranberries, that’s so cool that you can hear them pop! My husbands family uses fresh cranberries, a whole orange and sugar, they put it in a food processor and grate it. 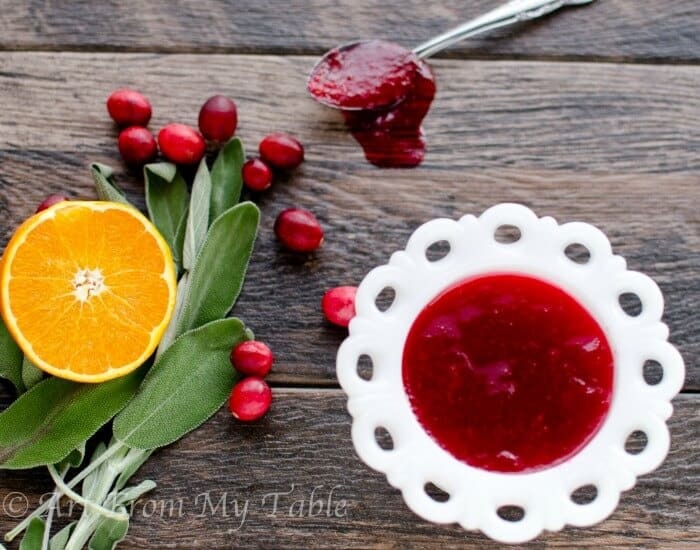 It’s fresh, I love the sweetness from the orange and the taste of the rind with the fresh chopped cranberries. So good with the turkey. I will try your version, it would be really good over pork or chicken! Delish. I like the fresh better too!! !